The legend of Medusa is that any living thing that would gaze upon her face would turn to stone. Medusa is a 6 max NL cash poker bot that freezes opponents actions by changing its style based on how they play to counteract them and “turn them to stone”. While using Poker Tracker 4 to model opponents and profile them, it can switch gears in the moment to exploit whoever it faces. It focuses on playing micro stakes (100-200) bb deep stack TAG (VPIP: 24 / PFR: 20) strategy and thrives on a 5bb/hr rate. Watch Medusa Turn your opponents to stone and crumble! 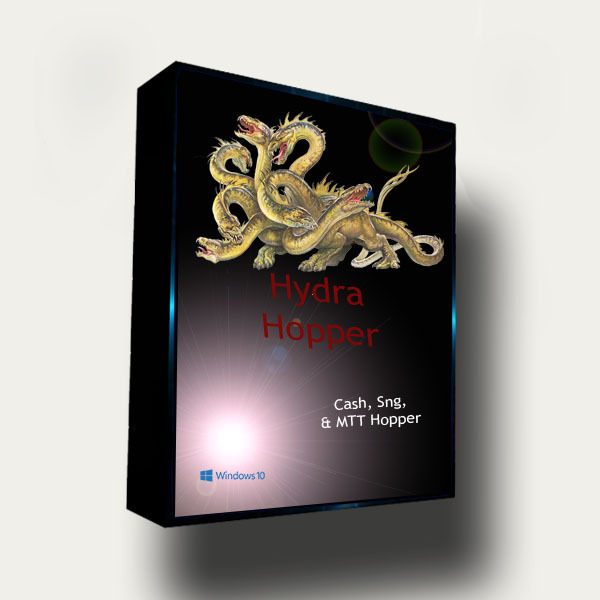 Purchase includes: Medusa Poker Bot for up to 3 computers + all our supported Table Maps. Medusa plays 6 max Cash games, with a tight aggressive approach, attacking tight newbie players. It dives into the PokerTracker database to exploit opponents weaknesses. It has been tested on as high as 10NL ($0.05/$0.10) tables. When combined with PokerTracker 4, this poker bot has a distinct advantage on exploiting different types of players.